What an amazing opportunity this is! Located within an extremely popular residential village of Barwick In Elmet, lies this three bedroom semi-detached cottage style property, with A large barn to the rear garden. 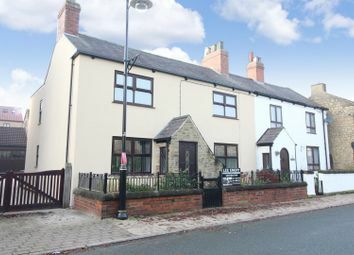 The property is situated on the Main Street of the village, and benefits from both double-glazing and central heating, together with a conservatory extension to the rear of the property. 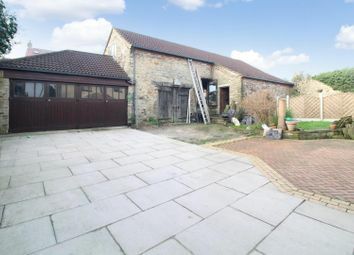 The property is quite unique in the fact it has the addition of a large barn, situated in the rear garden - this was used by the present vendor for a woodwork business, but could be used for a wide range of uses and possibly even potential further development (subject to planning permission and building regulations). 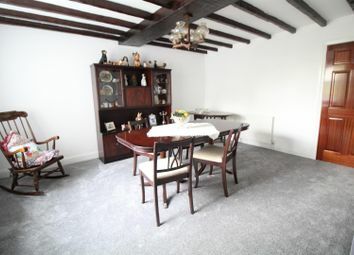 The property briefly comprises to the ground floor: Entrance porch, lounge, dining room, fitted kitchen with built-in hob and oven and walk-in storage room, conservatory, inner hallway with cloaks/WC, to the ground floor. To the first floor, there are three bedrooms - two large doubles with built-in wardrobes and a family bathroom with a modern white suite. There is a small garden to the front, with a driveway to the side offering off-road parking for a number of cars and leading to a larger than average garage. The rear garden has a block paved patio seating area and small lawned garden. In addition, there is large stone-built barn, with an attached outbuilding. Call 24 hours a day 7 days a week to arrange a viewing. 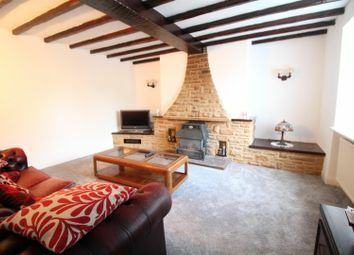 The lounge is a large, light, bright room located to the front of the property with an exposed wooden beam gas fireplace, central heated radiator, television point and PVCu double-glazed window to the front aspect. Offering excellent additional living accommodation with central heated radiator, exposed wooden beams and PVCu double-glazed window to the front aspect. 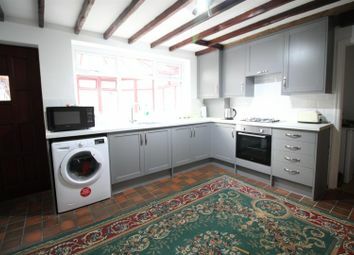 With space for a washing machine and built-in storage cupboard. With low flush WC, central heated radiator, wash hand basin and window to the side aspect. With staircase to the first floor and double-glazed window to the rear aspect. 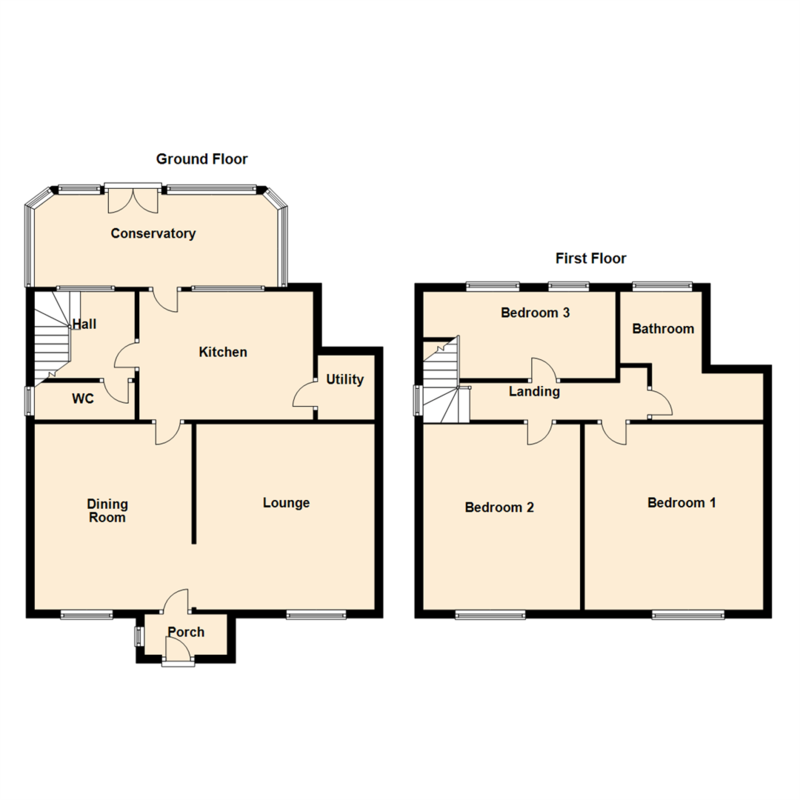 With windows to triple aspects overlooking the rear garden and PVCu double-glazed patio doors affording access. 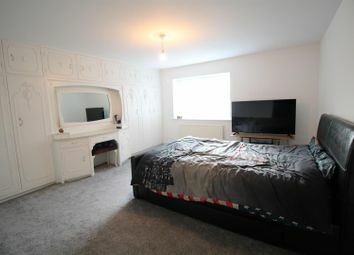 The master bedroom is a good sized double located to the front of the property with central heated radiator, television point and double-glazed window. Bedroom two is a good sized double and is located to the front of the property with television point, central heated radiator and double-glazed window. 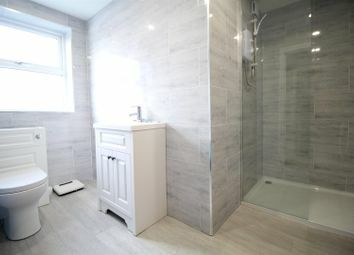 Four piece suite comprising; panelled bath, low flush WC, wash hand basin, walk-in shower, central heated radiator and double-glazed window to the rear aspect. 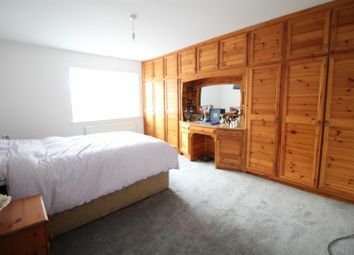 Bedroom three is a good size and is located to the rear of the property with central heated radiator, built-in cupboard and double-glazed window overlooking the rear garden. There is double gated access to the side of the property, which leads to the larger than average garage, and offers off-road parking for a number of cars. To the rear, there is a small garden area and patio seating area. In addition, there is a large stone-built barn with an attached outbuilding. The barn has a raised platform area, and has both power and light connected. From the Garforth office, proceed along Main Street to the traffic lights, and continue over, following the bend around to the right onto Barwick Road. Proceed along, passing the Golf range on the left and continue along into Barwick In Elmet. At the main road junction, turn right onto Main Street, where number 60 can be found on the left hand side indicated by the For Sale board. This property is for sale by the Modern Method of Auction which is not to be confused with Traditional auction. The Modern Method of Auction is a flexible buyer friendly method of purchase. We do not require the purchaser to exchange contracts immediately, but grant 28 days to achieve exchange of contracts from the date the buyer’s solicitor is in receipt of the draft contracts and a further 28 days thereafter to complete. Allowing the additional time to exchange on the property means interested parties can proceed with traditional residential finance. Upon close of a successful auction or if the vendor accepts an offer during the auction, the buyer will be required to put down a non-refundable Reservation Fee of 3.5% subject to a minimum of £5,000 plus VAT which secures the transaction and takes the property off the market. The buyer will be required to sign an Acknowledgement of Reservation form to confirm acceptance of terms prior to solicitors being instructed. Copies of the Reservation form and all terms and conditions can be found in the Legal Pack which can be downloaded for free from the auction section of our website or requested from our Auction Department.